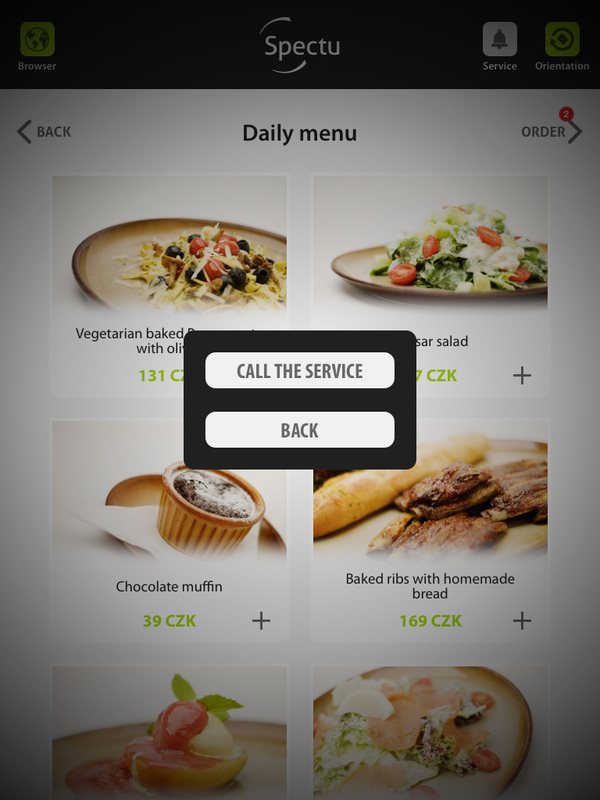 Spectu includes feature for waiter call, making it easy for your customers to call a waiter whenever they need. After pressing the button a notification message is send to your point of sale system/CMS and it will appear on the screen or it can be print on a printer in the same way as a classic order. Message includes number of table where the customer sitting. 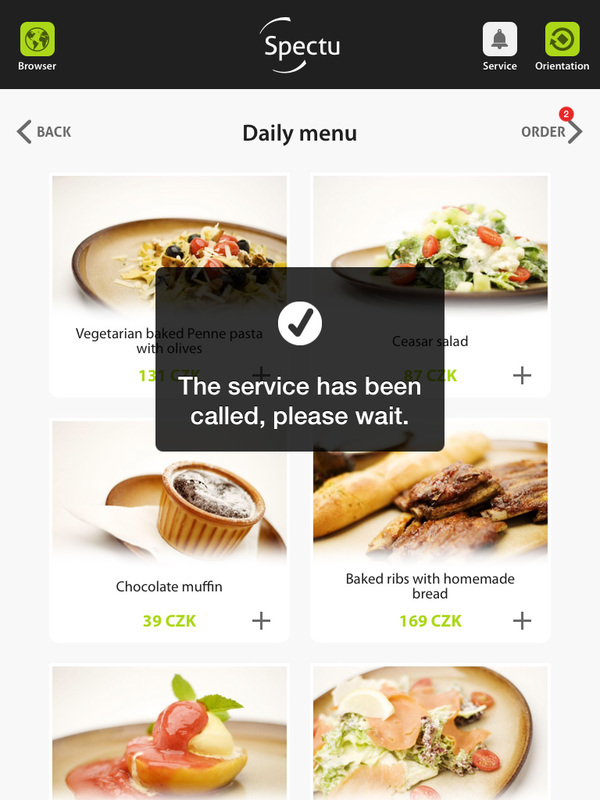 You can also set a condition for waiters for confirmation of the customer’s message. If a waiter didn’t read the message he will not be able to close his bill, so your staff get used the new message system really quickly and they will not forget to your guests.